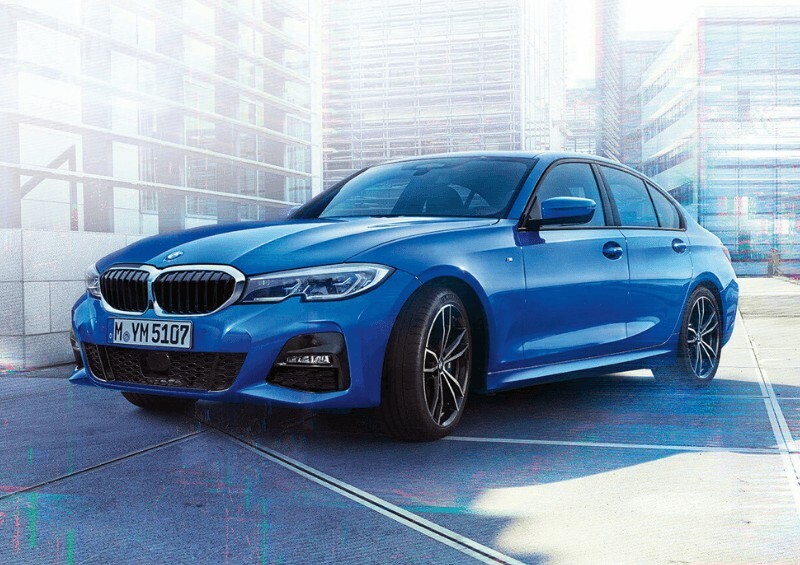 While the rumour mills for the new BMW 3 Series 2019 launch started to spin in August 2018, later underpinned by the Paris Motor Show in October, we now have confirmed sightings of what has been touted as the “most high-tech BMW to date”. Those looking to get their hands on a lease deal before the new tax year are in luck, as we should see the newest models rolling off the production lines in early spring. So what exactly should we expect from this latest release? 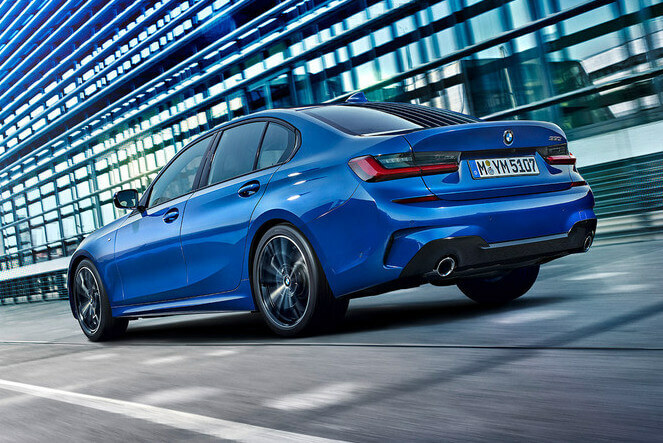 The seventh-generation model will be available in the entry-level SE, the Sport, and lastly, the highly anticipated BMW 3 Series M Sport. The latter two are sure to seduce potential buyers with a sophisticated high-gloss trim around the windows, rear bumper and grille elements. If aesthetics weren’t enough, the optional xDrive four-wheel-drive system might tip you over the edge. From the launch day, we’ll have three different engines available – the BMW 320d manual is the entry-level model, which is diesel-fuelled, and sports 187BHP, plus a 0 to 62MPH time of 7.1 seconds. Of course, if the six-speed gearbox is too bothersome, you can opt for the eight-speed automatic instead. The 330i offers a petrol engine-only option, with a 2-litre engine (all three contain turbocharged four-cylinder units), while the 320d xDrive offers four-wheel drive and an eight-speed automatic gearbox as standard. Keep your eyes open for future releases of the 330d six-cylinder engine, and, perhaps most exciting – the new BMW 3 Series 2019 hybrid. It’s rumoured that this will include a 2-litre, four-cylinder petrol engine with an 87BHP electric motor. Ideal for urban motoring, BMW aim for the hybrid’s electric range to be 37 miles, while its CO2 emissions will be a very friendly 40g/km. One of the most notable features of this latest saloon is the 3 Series’ upgraded dimensions. Specifically, it’s been extended to 4,709mm in length, 1,435mm in height and 2,068mm in width. We’ve also got a wider, longer wheelbase, and it’s up to 55kg lighter than its predecessors – all of which complement a smooth, secure drive. And that’s just the outside. 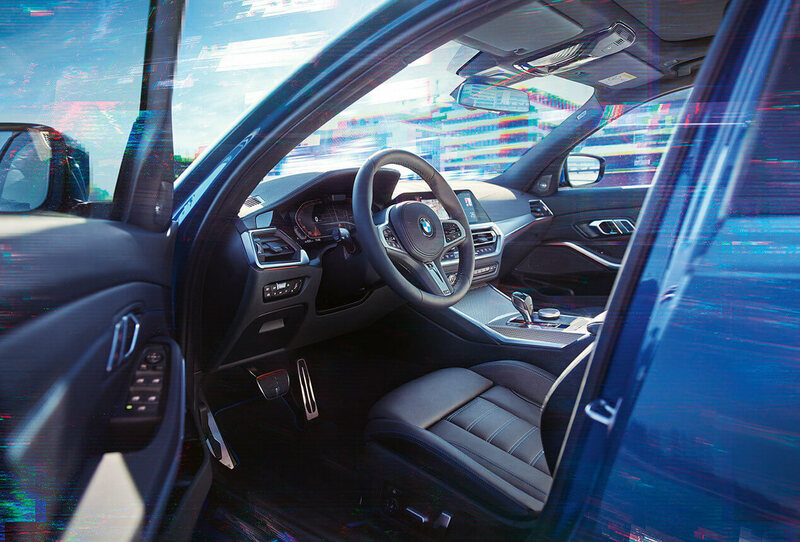 There’s a reason why the 3 Series has been deemed the most technologically advanced yet – it’s packed to the brim with innovative, ergonomic features that aid efficient driving. BMW are currently offering a new “Technology Package” which is available for a limited time only, so it’s evident that gadgets were at the forefront of BMW’s latest design. Even at entry level, you can’t help but be wowed by the in-car technology. There’s ambient lighting, power-folding mirrors and three-zone air conditioning, not to mention a reversing camera for those tight spots. As ever, it boasts BMW’s Live Cockpit Plus system, with an 8.8-inch infotainment screen. (In the M Sport you’ll also benefit from a 12.3-inch digital display where the dials should be.) There’s a 40:20:20 split-folding rear seat with folding headrests across the range, and in higher models, we have sporty heated seats. Very comfortable, and very practical. 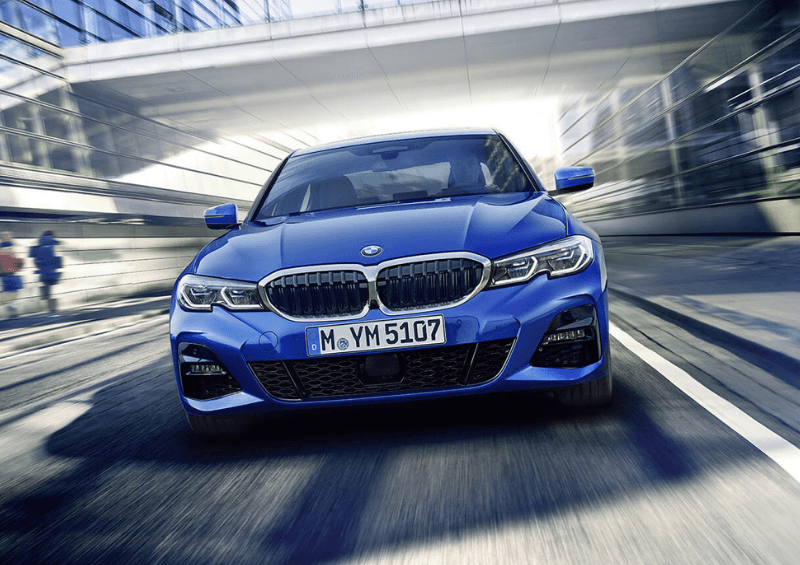 What is the price of the new BMW 3 Series? With an executive model that’s set to rival the Audi A4, due out late 2019, it’s natural to see a BMW 3 Series 2019 price of £33,610. That’s for the entry-level 320d. At top spec, you’ll pay £39,700 for the 320 xDrive M Sport. There is a whole heap of extras you can throw in, from sports packages to technology upgrades. When is the new BMW 3 Series coming out? 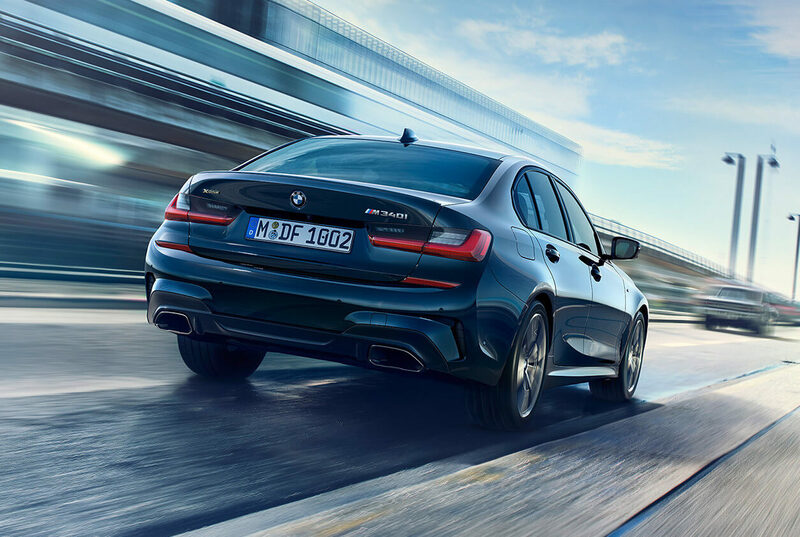 The official BMW 3 Series release date is 9th March 2019, but you can start browsing for new BMW 3 Series lease deals now or get in touch with us today to find out what deals are available! Keep your eyes open for the M3, too, which is set to hit the roads in early 2019. This sixth-generation spells the start of BMW’s 26-car M division expansion, so we’re looking forward to seeing what’s coming next. 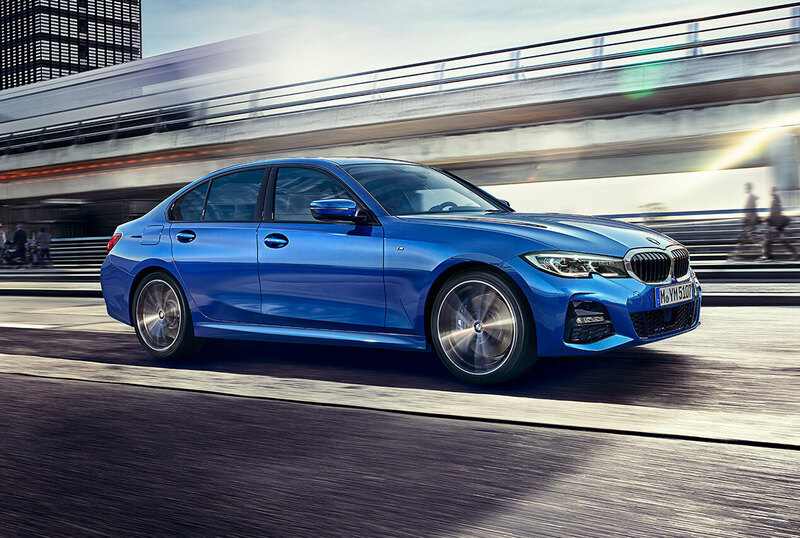 A new BMW 3 Series 2019 lease starts from £407 per month (including VAT), taking the sting out of the £33k asking price – notably higher than its closest rival, the Audi A4. BMW claim they responded to complaints of previously cluttered interiors on the 3 Series. They’ve certainly cleared those up, while the exterior amendments not only offer more practicality, but a far smoother drive. With so much potential for expansion, from hybrids to sportier models, the seventh-generation is a highly promising development.